The romance. The danger. The mystery of charting a course into the unknown. It sings to you. The spirit of exploration is inescapable. It's who you are. You hear the song of far-off galaxies, of systems uncharted and frontiers untamed. You feel the magnetic pull of adventure and long to chase virgin horizons into the unfathomably silent depths of the unknown. This is the spirit of the Drake Corsair - the bold, indomitable will of Humankind, dauntless in its relentless pursuit of fortune, expansion, and knowledge. You never know what you may discover out there, but the Corsair is a worthy companion, supporting you in battle, discovery, and delivery, wherever the winds of adventure may steer you. The Drake Corsair is introduced as a limited-time ship concept pledge. This means that the ship design meets our specifications, but is not yet ready to display in your hangar or to fly in Star Citizen. The Warbond pledges shown here include Lifetime Insurance on the ship hull. In the future, the ship price may increase and Lifetime Insurance or any extras may not be available. If you are interested in adding one to your fleet, a quantity of Warbond Corsair hulls are available during this event. The Corsair will be available in the pledge store until April 22, 2019. You can also view a detailed schematic of this new ship in the Holo Viewer in the Tech Overview of the ship page. As with every concept ship pledge, we will be publishing a Q&A post. If you have additional questions, there will be a forum thread on Spectrum to take your questions. Make sure to vote for the questions you most want to see answered. Look for the comm-link schedule next week to find out when that post will go up. 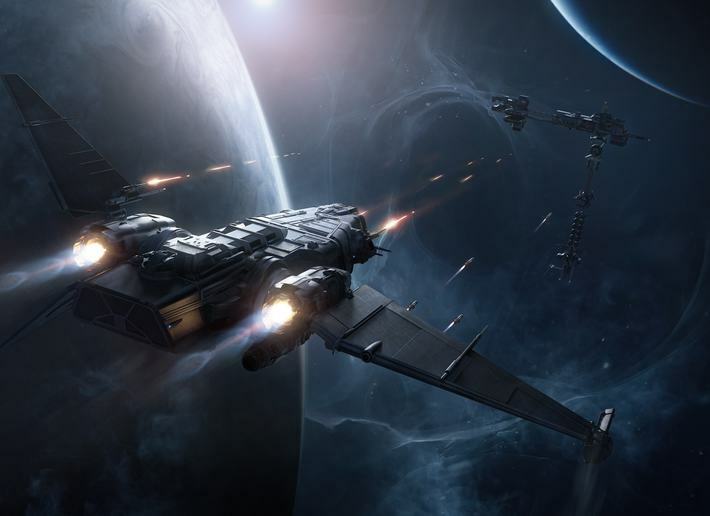 We offer pledge ships to help fund Star Citizen’s development. 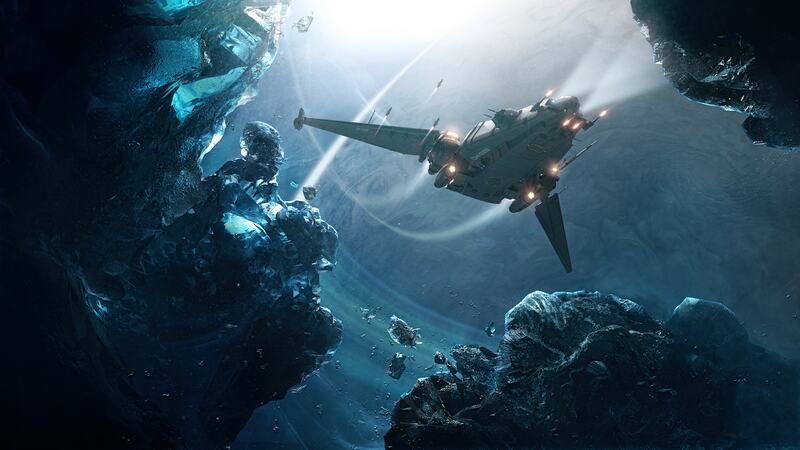 The funding received from events such as this allows us to include deeper features in the Star Citizen world. These Ships will be obtainable in the final universe, and they are not required to start the game. As a special incentive, all Warbond Corsairs come with the ability to reserve a custom name for the ship, unique across the Corsair chassis. Certain restrictions apply: this name must be a 32-ascii character limit with no consecutive spaces or dashes allowed. CIG reserves the right to deny names that violate code of conduct. To name your ship, simply visit your hangar after purchase and view your Corsair for naming options. To find out more about the name reservation visit our KB article here.